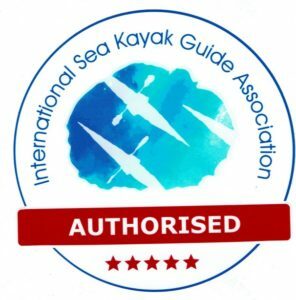 From 2019 onward, SKILS will be adding guiding qualifications from ISKGA (The International Sea Kayak Guide Association) to our guiding programs. All of our SKGABC guide training courses, our Paddle Canada Level 4 skills course and our Paddle Canada instructor courses are covering ISKGA modules.The International Sea Kayak Guide Association (ISKGA) is a newer organization that represents professionals who are dedicated and enthusiastic about sea kayaking and guiding others on the ocean around the world. ISKGA recognises the need to have a fair, uncomplicated and inclusive system within which guides and coaches can operate effectively and with purpose. It’s an independent association, free of the restraints of any governing body. The ISKGA syllabus was designed to cover all aspects of guiding, which are sometimes lacking in other programs. 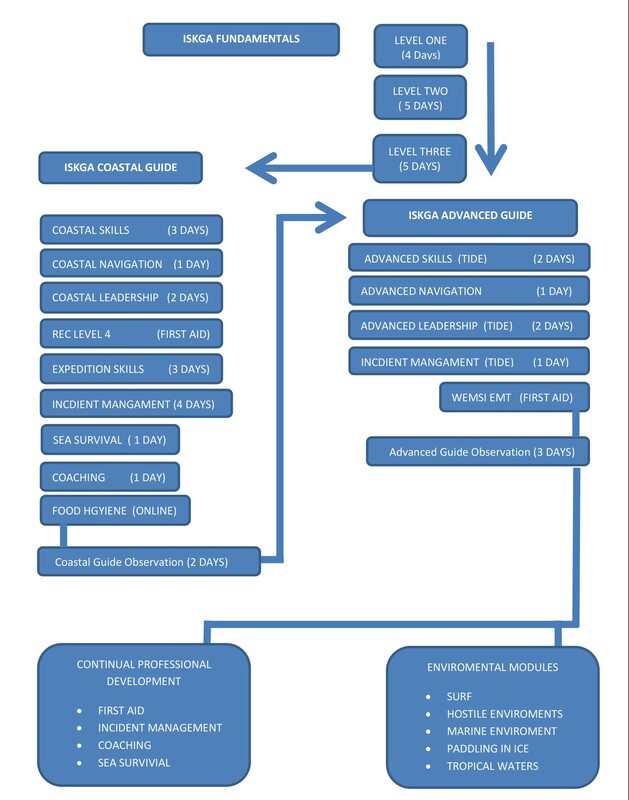 It’s a modular system, so guides can be assessed in different areas at different times. The advantages to the student include extra qualifications that may be recognized more favorably in different countries and the opportunity to cover different ISKGA modules at a later date that are not part of the SKGABC syllabus, for example ‘Paddling in Ice’. SKILS is an authorized centre and can provide training and assessment in ISKGA modules.It is important to know that to work as a guide in Canada and internationally the SKGABC certification is highly recognized and respected. Some guides might decide to further their professional development by participating in more training modules from ISKGA.Our SKGABC and Paddle Canada courses cover the following ISKGA training modules. For guiding in Canada and internationally is my SKGABC certification valid and good enough? Yes, your SKGABC certification is excellent and recognized across Canada and internationally. What is the advantage of having a dual endorsement from ISKGA in addition to my SKGABC endorsement? What should I do if I want to continue my training further with ISKGA in Canada and around the world? We will give you a training workbook ( for $15 + shipping+ 5%GST) where we will acknowledge with a stamp all the modules you have completed successfully. You can use this training workbook around the world with other ISKGA approved training centers. I did my guide training course and my Paddle Canada Level 4 skills course with SKILS many years ago. Can my training be recognized as ISKGA training modules and can I get stamps for my ISKGA training workbook? Yes this is possible. Email us at [email protected]. I did my guide training course and my Paddle Canada Level 4 skills course with a very reputable organization. Can my training be recognized as ISKGA training modules and can I get stamps for my ISKGA training workbook? Unfortunately, this is not possible at this point but things might be different in the future. I did my guide training course and my Paddle Canada Level 4 skills course with a dodgy organization. Can my training be recognized as ISKGA training modules and can I get stamps for my ISKGA training workbook? Unfortunately the answer is ‘’NO’’. How can I get more information about ISKGA?